In an online marketplace, independent vendors sell their products through a common storefront. According to U.S. Commerce Dept 59% of people shopping online go to Amazon when they are looking for something to buy on the Internet. In 2016 $1,09 trillion worth of goods were sold in the largest global marketplaces. It makes 44% of all e-commerce sales transacted around the world! Customers choose multi vendor marketplaces over traditional e‑stores because of a wide product variety and a better pricing. Be the first to create a brand new online shopping mall in the sphere you are passionate about to offer the best product selection to your customers. We have made a research analyzing ecommerce software solutions for marketplaces and it showed that CS-Cart Multi-Vendor goes with the fullest feature range out of the box. The marketplace package is enough to start and successfully develop your project. It means concentrating on attracting vendors and selling items, not wasting the budget on purchasing add-ons and ordering custom development for the missing features. Besides, this number of built-in add-ons will save you from trouble of dealing with third-party developers and upgrade problems caused by incompatibility with new versions. You won’t believe how easy it is. You can create your own design from the admin panel. No coding. Get a responsive design theme with 9 different styles out of the box. Based on one of the styles create your own individual design. Our unique Layout Manager makes it possible to drag and drop blocks, create the new ones, add banners and various menus all from the admin panel. No coding and no need to hire a web designer—you can customize the look of your own virtual shopping mall with a couple of clicks. Can it be easier? For those who dream big and are looking for the ecommerce marketplace platform to make it a basement for a unique project, Multi-Vendor is a real catch. It has a 100% open access to the source code which makes it fully customizable. No parts are encrypted and you do not even have to pay extra for getting this much. Providing an open access to the source code we created detailed tutorials for the developers so that they feel comfortable working with the Multi-Vendor files. Choose the Multi-Vendor ecommerce system and your team will appreciate it. Any person working or shopping with your virtual marketplace can use a smartphone and feel absolutely at ease. Both storefront and admin panel are responsive and convenient on any device. Your customer prefers to buy via an app? No problem with that—you can get a native Mobile App created by our developers. We will not only place your app on Google Play and App Store but also upgrade it regularly and provide you with the full support. Your customer prefers a browser? Don’t worry. A responsive theme will adapt to the screen of any size seamlessly. We analyzed the statistics and found out that it takes up to 3 months to open an average online shopping mall. This is the period when a business owner gets the most questions about the features and their settings. That is why together with a Multi-Vendor software license purchase you get 90 days of free technical support and can ask our support team an unlimited number of questions getting assistance with them free of charge. It is not a secret that any technical program can have its flaws. We accept the possibility of the system imperfection and are willing to improve it asap. This is the reason we provide free bug fixing and fix the critical ones in 3 days. E-commerce is a very demanding sphere and we do know how important it is to get the features our modern world needs. That is why we update the ecommerce marketplace solution regularly and issue new versions of Multi-Vendor 3-4 times a year. Together with a license purchase, you will get a year of free access to all the new versions of the Multi-Vendor script. Most importantly you will always get security patches free of charge. The set of tools and possibilities of your online marketplace can be easily expanded by a number of ready-to-use add-ons for Multi-Vendor available on our Marketplace. There you can find a lot of solutions to gain new features and improve your customer experience. Save your time, nerves, and budget by going with ready-made solutions. Although the default set of features is more than enough to start a web marketplace, each project is an individuality. It means that with its growth you will need to add your own features and with Multi-Vendor shopping cart script it is not a problem. In our Marketplace, we have gathered more than 350 developer companies experienced in working with CS-Cart. It means that finding a developer for the desired customization will be a piece of cake. Purchasing a Multi-Vendor license you become a part of a huge community. We have created community forums with more than 500 user visits per hour. There you can always share your experience of using the multi vendor marketplace software, ask a question, find a piece of advice and even hire a developer for your project. Get involved! ShopClues began as a startup. It was the first online store in India working by the “managed marketplace” model. It’s when a small team manages the whole marketplace, invites vendors, and controls their activities. And customers buy products directly from the vendors. In 2011, they started from 500 vendors and now this number is thousand times bigger. ShopClues featured in lots of online magazines such as Indian Express, The Financial Express, Business Standard, and more. In 2016, they got there high awards: APAC Effie, CMO Asia Awards, and CEO India Awards. This gigantic eCommerce mall is among the fastest growing e-commerce destinations in India. More than 7 million people visit ShopClues every month. Starting from 2011, ShopClues has been able to rapidly widen its consumer reach and business. Now, it counts 500,000 vendors and this number grows. Automatic payouts are handled via a built-in PayPal for Marketplaces or Stripe Connect functionality. The feature distributes the payment between vendors and sends commissions to your account automatically. In case manual payouts are your choice, you can use the vendor accounting feature to record each payout and collect monthly payments. With vendor plans, commissions are pre-set for each plan and a new vendor just picks the most suitable option. Apart from commissions, it allows you to take a monthly fee from vendors for selling in your marketplace. Besides, you can set such restrictions as the maximum number of products, revenue up to and a vendor micro-store. Use all the tools at once or select some of them for the start! Our Vendor Data Pre-moderation feature can be adjusted to the specifics of your project: let vendors showcase products without moderation, check every product added by vendors or allow certain vendors to add products without moderation. Make your vendors’ routine simpler letting them mass upload products and update the inventory with just a couple of clicks! Allow your vendors to express themselves changing the theme style and layout of a vendor store selecting their own color scheme. Display your vendors on the map and allow your customers to see the nearby vendors with the distance from the customer’s exact location. Create product filters based on your vendors’ location and improve your customers’ experience making them return to your marketplace again and again. That’s not it. There is another built-in tool you cannot deal without. A Sales reports feature provides you with the detailed statistics on the sales in your marketplace. You can form the statistics in a graphical or tabular chart, which can be grouped into separate reports. Let your employees take up the duties while you are engaged in fundamental things. What is the price of the package and what does it include? - 90 free days of technical support. Our technical support engineers will be glad to help you if you have any questions. - free access to new Multi-Vendor versions and upgrades for a period of one year and the opportunity to get security patches free of charge. Are there any recurring payments for using the license? No, a Multi-Vendor license costs $1,450, it is a one-time fee. The license is lifetime. There are no other obligatory payments. You can use the software without any time limits. What hosting should I use and do you help with the installation? Sure, we will install Multi-Vendor free of charge for you. I am an absolute beginner. Will I be able to work with the software or do I need a developer? Please do not worry about it. Our software is meant for the businessmen, not for the programmers. No technical knowledge is required to work with it, just basic computer skills. Besides, our technical support specialists are always there to answer your questions. Can I set my own language and currency for my marketplace? Absolutely. Multi-Vendor is multilingual and supports multi-currency which makes it an ideal solution for an international project. By default, there are 26 languages already installed in the system and you can easily create a new language package if necessary. As for the currencies, you can have an unlimited number of them. A new one is created in a couple of clicks from the admin panel. You can set a currency as the primary one and configure additional ones based on it. 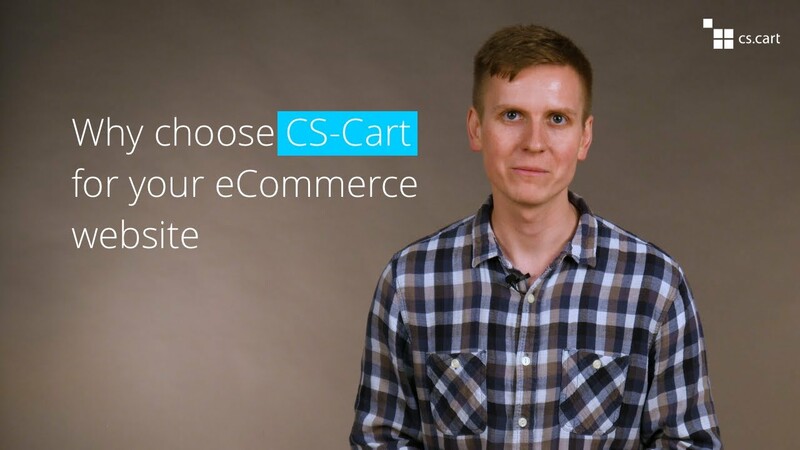 CS-Cart Shopping Cart software is a powerful solution to build a traditional single-seller online store. 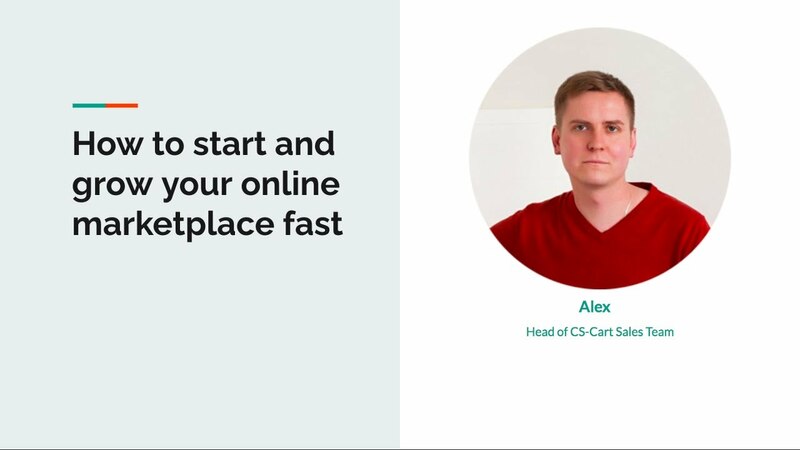 There are already 35,000 ecommerce websites built on CS-Cart. Some sell electronics, some—apparel, some offer handcrafted designer goods, and some are unique projects such as charity websites and online bakeries. Our web shop platform makes it possible to build any kind of an ecommerce store. Our Multi-Vendor ecommerce platform is the well-known and reliable marketplace application that will allow you to set up your own virtual shopping center on the Net without huge initial investments, where many online vendors will operate in their personal online stores successfully whereas all shopping mall actions will be able to be easily controlled via the single administrative center. It is simple as it is. Take all the advantages that the CS-Cart Multi-Vendor shopping mall script has and online consumers will really appreciate the appearance of a new online marketplace monster like Amazon or Ebay.